This property has two buildings on it. You must see them both to believe the possibilities this property offers you. 8 residential units in one building with two commercial units and two commercial units in the other. There are also newer assets like the furnace and the boiler (still under warranty as per seller). New windows upstairs. Trade is possible with a property of a minimum worth of $300,000 plus cash. Great opportunities await! These two buildings are ready for your inspections. The tenants are ready to continue paying their rents on time. You can rent more space or use it for your own operations. This building has eight units for residence. Most are one bedroom. 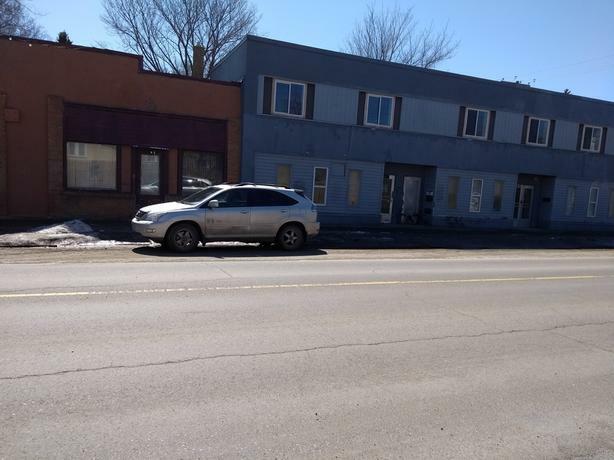 There are also two spaces on the main floor which can lease as commercial, plus the neighboring building. All are separately metered. Know there is a possibility to acquire a residential property adjacent to this one. Why, you might ask? This would create the green space needed for a care home or day care center. So, if you ever thought of assisting in the growth of the little ones, this space would be unique. This property isn't included in list price and would be a different offer. Seller truly motivated.